Do you need some modern chairs for your home? You may be looking for the Amanda Side Chair. 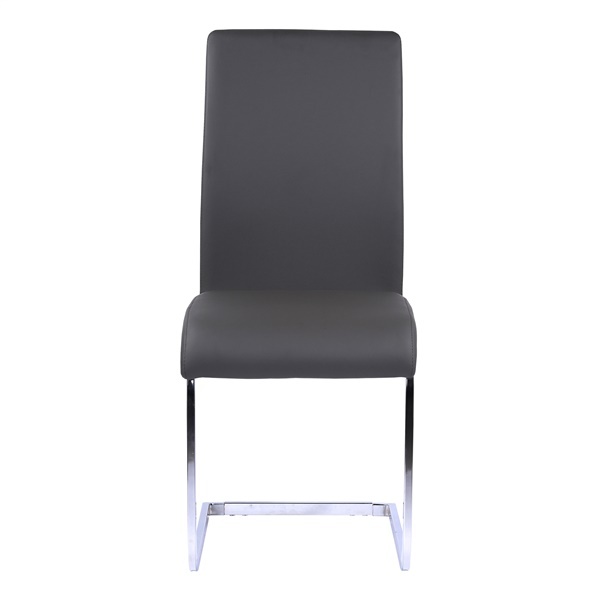 These chairs are expertly upholstered using durable vinyl and come in a variety of colors. The frame is made from a sturdy metal and the chairs effortlessly complement your own furniture or other furniture in the Amanda collection from Armen Living. They make a great addition to a contemporary or transitional home space. Expert upholstery of durable vinyl. Effortless complement to other Amanda pieces by Armen Living. What is weight limit on this chair? The Amanda Side Chair has a weight limit of 250 lbs.